Charlotte Gainsbourg wearing Rodarte Autumn/Winter 2018. Courtesy of Rodarte. 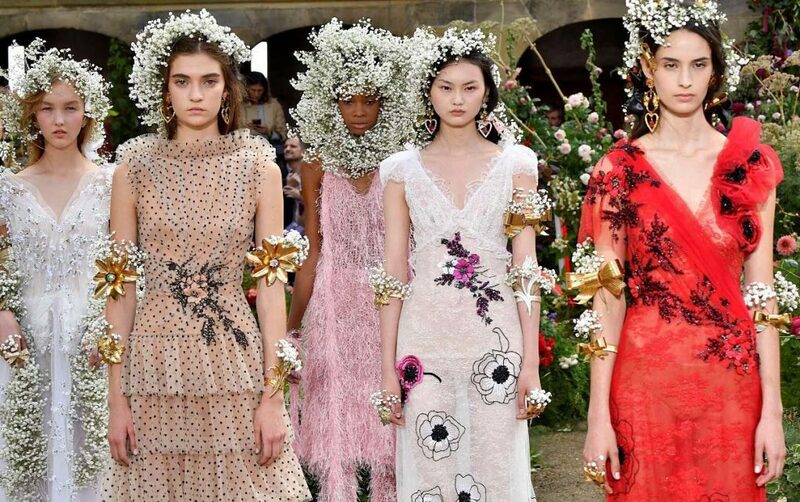 American luxury fashion house Rodarte, founded by sisters Kate and Laura Mulleavy, burst onto the scene in 2005, taking the fashion and art worlds by surprise with their deeply personal and conceptual approach to fashion design. The first Rodarte collection, comprised of 10 hand-finished pieces, appeared on the February 3, 2005, cover of Women’s Wear Daily within days of Kate and Laura’s first trip to New York. It immediately drew critical acclaim for its use of unconventional methods and materials that fused dressmaking and art-making processes. Anna Wintour has been championing Rodarte ever since. It seems like there was a need for an American fashion house that could be both luxurious and artistic, a privilege until then held by Parisian Haute Couture. What followed was a string of awards (Rodarte is now included in the permanent collections of the Metropolitan Museum of Art; the Museum of Fine Arts, Boston; the Fine Arts Museums of San Francisco; the Los Angeles County Museum of Art and the Museum at FIT in New York) and a loyal clientele (international icons that have worn Rodarte include Beyoncé, Cate Blanchett, Kirsten Dunst, Lady Gaga, Nicole Kidman, Keira Knightley, Michelle Obama, Sienna Miller, Julianne Moore, Rihanna, Saoirse Ronan, Chloë Sevigny and Tilda Swinton). The Mullaveys took over the world. 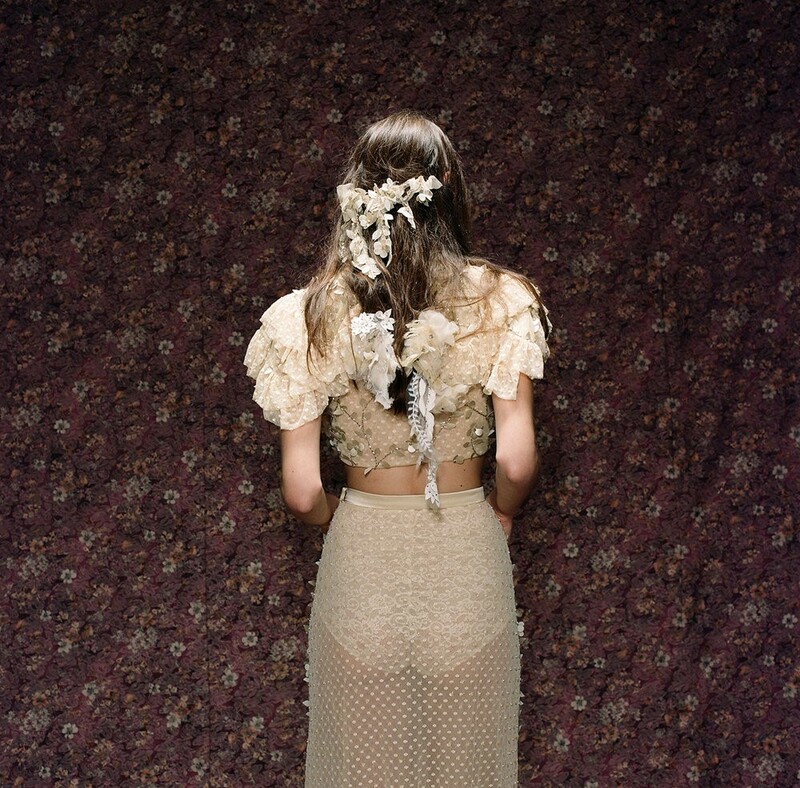 Rodarte’s pieces are labour-intensive and expensive, taking up to 150 hours to produce. Dresses from the autumn/winter 2018 collection retail at more than $9,500. Pregnant Kirsten Dunst wearing Rodarte Autumn/Winter 2018. Courtesy of Rodarte. emphasis on the 19th and 20th centuries while Laura, born in 1980, focused her studies on literature and the modern novel), they returned to their hometown, Los Angeles, where they launched Rodarte –the brand reinstates the “e” of their mother’s name Rodart, which was changed in the US citizenship process when her father emigrated to the US from Mexico. Kate Mulleavy (left) and Laura Mulleavy of Rodarte; Photo © Clara Balzary. Their visionary concepts, impeccable craftsmanship and use of narrative to convey complex thoughts on a wide range of subjects, including film, literature, art history, nature and the California landscape, had a profound impact on the fashion industry. With each collection, Kate and Laura draw inspiration from a wide range of artistic sources. Their Spring/Summer 2012 Collection referenced Van Gogh and his iconic sunflowers. Clémence Poésy wears a Sunflower Printed Dress from Spring/Summer 2012 in an outtake from Autumn de Wilde’s photoshoot for Vanity Fair. Dresses from the Autumn/Winter 2008 collection were constructed from hand-dyed tulle pintucked into sinewy formations that could be the product of Dr Frankenstein’s laboratory. Rodarte Autumn/Winter 2008. Courtesy of Rodarte. The spring/summer 2017 collection saw metallic chantilly lace, appliqué sequin flowers and dramatic Thomas Gainsborough-inspired rococo silhouettes. Rodarte Spring/Summer 2017. Courtesy of Rodarte. Drawing upon their childhood spent outdoors, the sisters, more often than not, find inspiration through their relationship to the natural world –gypsophila flowers have become an almost indelible Rodarte signature. After all, their father was a mycologist who discovered a new species of fungus. If their clothes often seem theatrical, it is because the Mulleavys first engaged with costume through their grandmother, an opera singer, and their mother, an artist who instilled in them their love of film – on one occasion encouraging them to take a week off school to finesse their Hitchcock repertoire. 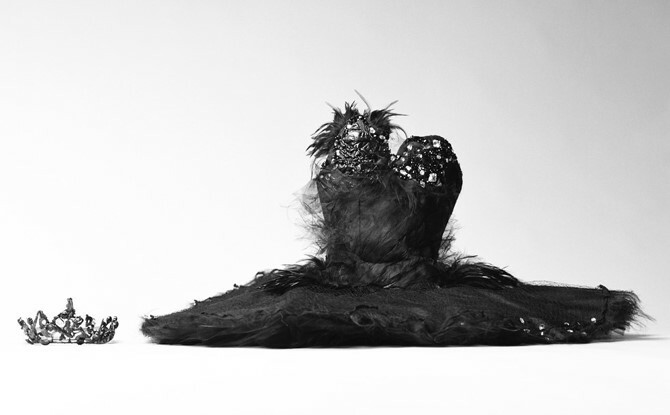 Given the cinematic quality of Rodarte’s designs, in 2010 Darren Aronofsky asked Kate and Laura to design the Odette and Odile tutus for Natalie Portman’s Nina Sayers in the Academy Award–winning film Black Swan. The sisters often define fashion as a “visual language”. It was only natural that they would go on to write and direct their own feature film. Woodshock, starring Kirsten Dunst, premiered at the 2017 Venice Film Festival. It was described by The New York Times as “Midsummer Night’s Dream meets psycho killer“. Some designs worn by Dunst’s character are violently slashed to reflect her character’s inner state as she grieves for her mother. At the start of 2017, Kate and Laura Mulleavy announced that they were decamping to Paris couture week from New York Fashion Week. After their return to New York Fashion Weel last fall, Kate and Laura plan to host Rodarte’s Fall 2019 runway show in their hometown of Pasadena. Since November, the National Museum of Women in the Arts (NMWA) in Washington, the only major museum in the world solely dedicated to championing women in the arts, is showcasing an exhibition spanning the first 13 years of Rodarte’s career. It is the first fashion exhibition held at NMWA in its 30-year history. “Rodarte continually prompts a dialogue between the worlds of contemporary art and fashion,” said NMWA Director Susan Fisher Sterling. Kate and Laura tapped their friend, illustrator Jess Rotter for a “Woodshock Scribble Series”, a collection of five drawings that pay homage to the visuals displayed in the movie Woodshock. You can buy a print online at the National Museum of Women in the Arts. 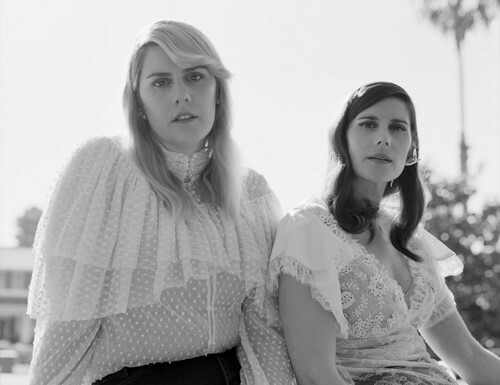 Listen to the playlist of songs by women musicians and women-fronted bands that Rodarte have used in their runway shows.